Imagine beautifully hand-crafted pieces of jewellery, sculptural in form and lightly textured in surface, inspired by architectural modernism. Well this is the work of architect turned jewellery designer Kate Trouw, one of my favourite U.K. makers. Geometric and organic shapes are combined to create a contemporary and clean aesthetic, whilst colours are soft creating a lightness to each piece. Trouw’s background in architecture shines through in each design. When you are holding a piece of her jewellery it’s as though you are holding a piece of the city in your hand, a construction material. But it’s more than that. Each piece is light, it’s warm to touch. It feels strong and yet incredibly delicate. She has sculpted this material into a shape, giving it form with purpose and natural beauty. With her vision it transcends into a hand-crafted sculpture, a little work of art to wear around your neck. Trouw works primarily with polymer clay, a malleable material which is shaped by hand and set by heat, and the best thing about it is that it’s free of harmful toxins. The properties of polymer clay is that it’s soft against the skin and, quite beautifully, the material is matt with a sort of egg-shell finish. The polymer clay gives each piece a hand-produced element to it, rather than being too industrial or too heavy. The same piece made in a plastic for instance would change the essence entirely. Trouw has a small collection of jewellery pieces available online, which are hand-made to order so there is little wastage involved. She has recently relocated her studio from London to Scotland, where all items are now made and posted to the U.K. or internationally. Prices are reasonable, ranging from £15 for small earrings to £120 for a statement necklace, but mostly prices sit somewhere in between. I own a piece of Trouw’s jewellery myself, with the appeal that it won’t go out of fashion because it’s classically modern in design. It can be worn on a daily basis and it’s something I take pleasure in wearing. 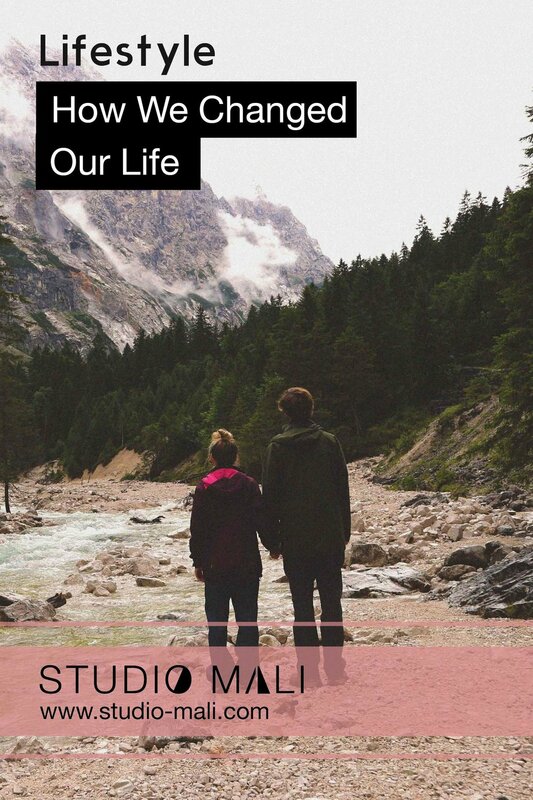 Mark and I are trying to be more conscious in our decisions of consumption, and believe that buying something that’s environmentally considered and from a local start up designer is a better way to make purchasing choices. So much of what is available to us on the high street is trend-led so will go out of fashion, and is cheap so will break in a short amount of time, so for me, purchasing items that you care about and that are hand-crafted is surely better for a more sustainable future. Buy less, and make what you do buy have a purpose. Did you like this article? If so then why not Pin It! This day trip was a bit of a break from the planned schedule. 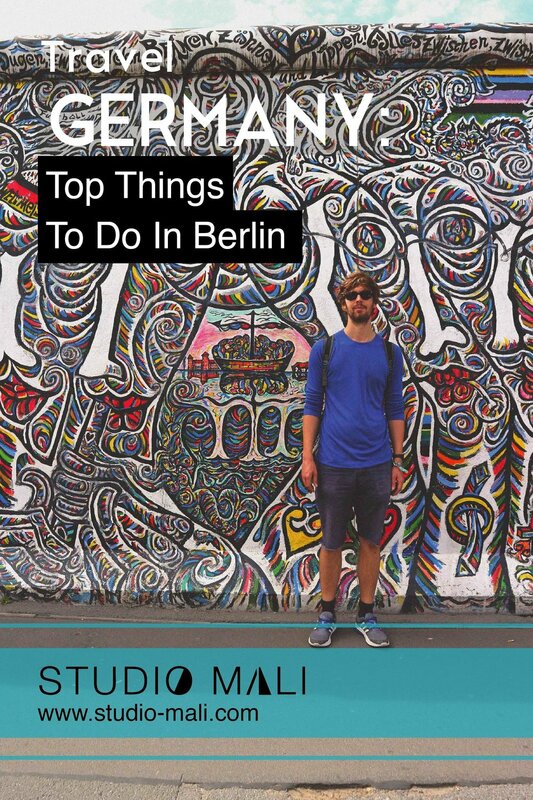 Having visited the slightly underwhelming Bauhaus museum in Berlin, we felt driven to go and see the real thing. Just two hours down the track and on the way to Bavaria we got off the train in the sleepy town of Dessau. A creative and flamboyant melting pot it was not but the green lands, huge parks and suburban living must have once stirred some creative juices. We camped out that night under German thunder and rain, not at all ready for the design storm that was about to hit! The next morning we wondered into town along a grey and sedentary path following the signs to the art school. Suddenly there it was. 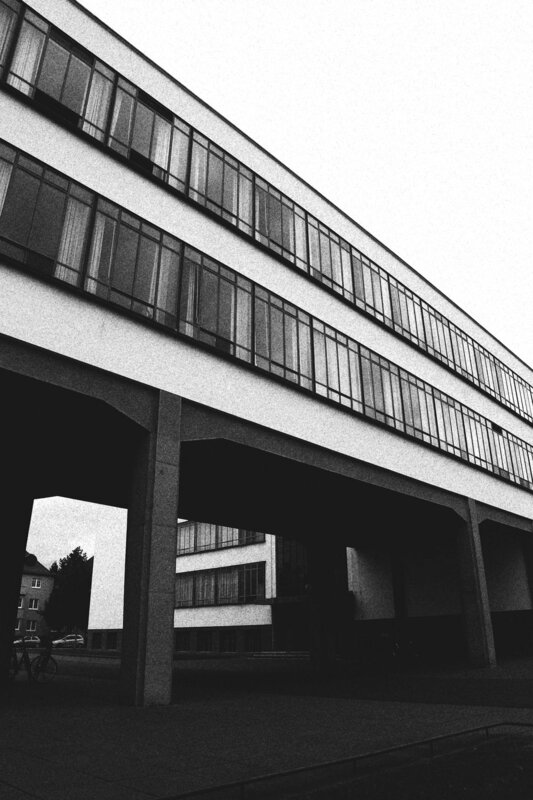 Tucked away on a quiet residential street, the Bauhaus art school that gave birth to so many conventions of the modern world. This building was created by Walter Gropius who was an architect, designer and master marketeer. 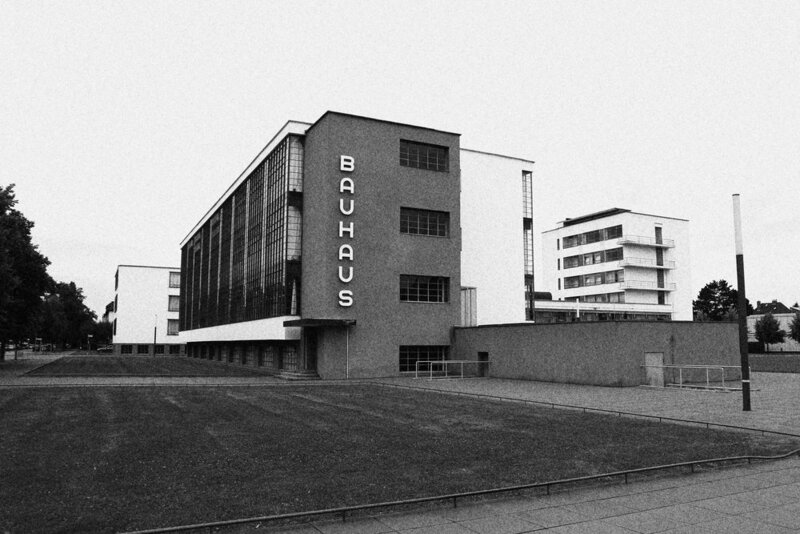 He conceived the Bauhaus as a place that would allow two things to flourish. One, the process of life, art and technology forming to become design. Secondly, for the school itself to become a show piece for the modern movement of the interwar years. His intention for the school was to achieve the 'Greatest possible effect with the least possible means'. It's evident that this building, was in many ways, the template for the modern structures of glass and steel. 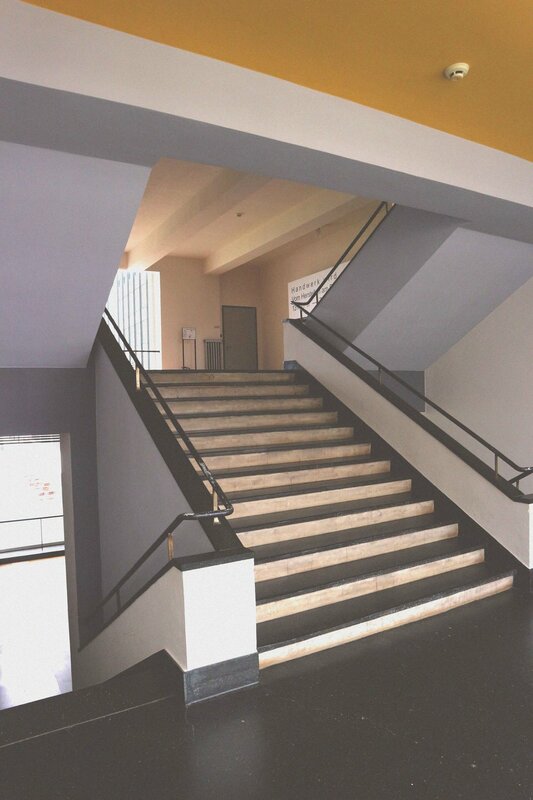 Yet what makes the Bauhaus is all in the detail, slick lines of colour are used to differentiate the different departments of the school. One point from the manifesto, 'Form Following Function', is evident in the lighting, window shutters, structural beams that support but also create shadow and form. The building is expertly designed so that the viewer could never see every view of the three buildings, forcing the viewer to walk around the Bauhaus' different alignments of angles and geometry. This happens on the inside too, metaphorical walls of windows frame the slick white walls of the external structures, whilst flooding light into the building. It's really a beautiful and relaxing space. We can only imagine how inspired the cohort of students' were. Other interesting points were made on how the art school enriched its students, 'healthy mind, healthy body' was a motto. Students took time off their studies to exercise alongside their professors; theatre and performance were encouraged for all students and the Bauhaus masters would often throw parties for their student in the master houses, 10 minutes up the road. Imagine Vassily Kandinsky inviting you over for a cocktail? (Strictly Russian vodka I assume). Gropius believed that students should learn about every field of Art & Design, learners from all courses could take up 'principle' sessions all other areas of of school, which was incredibly forward thinking for it's time. For example, there were some fantastic images of architecture students producing costumes for a performance, interdisciplinary at it's best! We also got to rest our parts on the now infamous 'Vassily Chair' designed by a young Marcel Breuer who became the youngest junior professor to ranks. Initially, a talented chair maker who pioneered tubular steel coated in zinc along with machined leather in the following design classic. Later, Breuer went on to become a success architect in the USA. Just a short walk down road leads you to to the masters houses, purpose built modernism for all 8 of the top professors like Gropius, Paul Klee, Kandinsky, Mies Van Der Rohe . Each dwelling personalised by its owner set in a little clearing of pine trees. Serene and beautiful. We both felt utterly inspired by this place. It really only functioned for 13 years, after being closed in 1933 from the rise of facism. But in it's short time it set the blue prints for many of the mass manufactured products of the modern age and ultimately went on to usurp American modernism and architecture. Many of the Bauhaus professors moved to the USA to escape the attrocities of Europe. Nazi propaganda against Weimar liberals, spot Van Der Rohe at the back carrying the Bauhaus! Anyone interested in the arts needs to visit this place to see how it shaped the modern world. We're not sure if we've been to any place that has more impact on design and architecture than the Bauhaus and because of its location you can spend a day there seeing only a handful of other design minded fellows. Minds blown, heads filled with ideas, go back to (art) school!